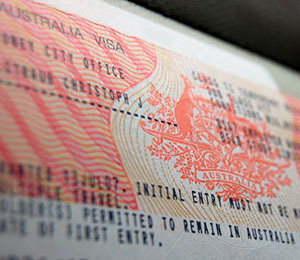 Employing visa holders: Do you know the legal risks? With 73% of all litigation by the Fair Work Ombudsman involving visa holders, it is up to HR to remain compliant in order to avoid the regulatory risks. Alex Kaufman, migration manager at FCB Group, cautioned employers that the Fair Work Act and the Migration Act can both extend liability beyond the typical employment relationship. Section 550 of the Fair Work Act (FWA) states that involvement in a contravention will be treated in the same way as an actual contravention, Kaufman said. “These are not new, but there is an upswing of enforcement activity and the scope of liability is expanding,” he told HC. Similarly, HR should also be aware of Section 245AA of the Migration Act which can similarly extend this liability. This section creates civil and criminal penalties where an individual is “found to have, among other things, allowed a non-citizen to work, or referred a non-citizen for work, in breach of the non-citizen's visa conditions,” Kaufman said. As a result, there is no requirement for a direct employment relationship, he added. The policy objective of this much broader definition is to include sham contracting plus non-conventional or more complex business relationships, he said. One of the most significant cases in this area was the Minister for Immigration and Border Protection versus Choong Enterprises, Kaufman noted. The employer was found to have engaged in a series of offenses, he said, including underpaying workers, recovering migration-related costs from employees, placing workers in positions inconsistent with their visa conditions, failing to keep records and withholding tax. To further reduce the overall risks, it is important for HR to remain actively aware of obligations stemming from the Fair Work Act, Migration Act and other associated regulations, Kaufman said. In the absence of a mandatory continuous professional development scheme, it is up to HR to fully understand the civil penalty provisions within the FWA and where an individual fits in within the accessorial liability framework, he said.